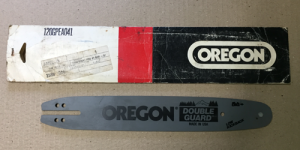 New old stock Oregon OEM 12" guide bar, sprocket nose 3/8lp .050, 45dl . Their might be some surface rust or blemishes from storage. Packaging might be missing or dirty.